Until genetic studies were done on the wolves of Algonquin Provincial Park in northern Ontario, scientists believed that the park’s wild canines were the common grey wolf (Canis lupus), which evolved in Eurasia and came to North America thousands of years ago. So it was a shock when researchers studying wolves in Algonquin discovered that these wolves are actually very closely related to the extremely endangered red wolf (Canis rufus) and are not descended from grey wolves. 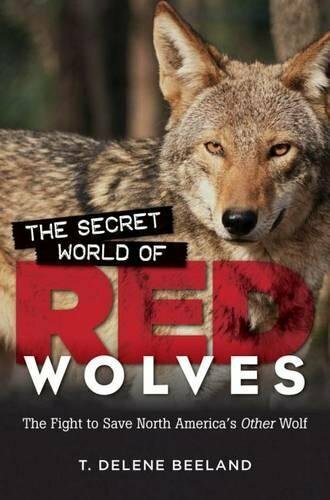 Red wolves, which once inhabited the eastern United States from New York to Florida, were declared extinct in the wild in 1980, with just a few hundred surviving in captivity. Finding a closely related wild population, especially so far north, was completely unexpected. Captive eastern Canadian wolf (Canis lycaon) in Parc Omega, Quebec. 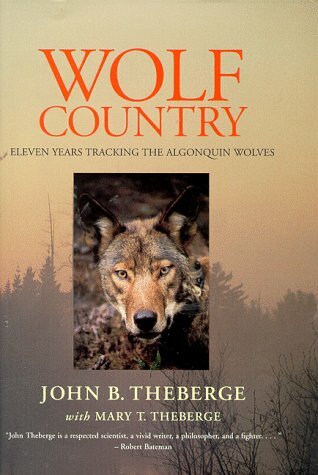 By 1970, researchers in Algonquin Park realized that the park’s wolves were different from the usual grey wolves. Initially, these smaller, reddish wolves were thought to be a subspecies of grey wolf, and they were named Canis lupus lycaon. But when DNA testing became available, it quickly became apparent that this conclusion was incorrect. 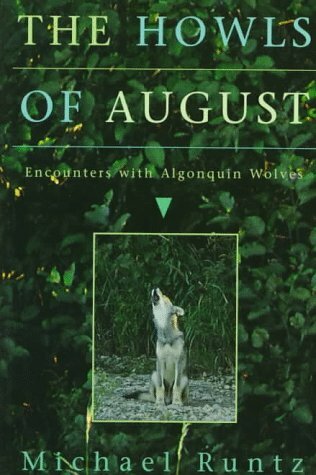 Algonquin’s wolves were much more special than anyone had guessed, and turned out to be a completely separate species of wolf. In 2000, members of the Algonquin Wolf Advisory Group renamed them the Eastern Canadian Wolf (Canis lycaon). Current research suggests that, rather than just being closely related, they are actually the same species as the red wolf (Canis rufus). Geneticists Brad White and Paul Wilson of McMaster University in Hamilton and Trent University in Peterborough soon discovered that it wasn’t just Algonquin’s wolf population that was different. Although populations were small, these rare wolves actually could be found across much of eastern Canada. Captive red wolf (Canis rufus). 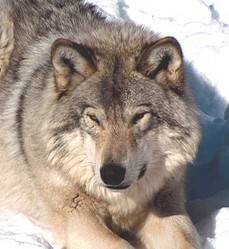 The eastern Canadian wolf differs from the grey wolf in several respects. In addition to being smaller and of a slighter build and having a red tint to their coats, especially on the face, these wolves never have an all-black or all-white coat, colours which are common in grey wolves. Female and male eastern Canadian wolves only weigh 55 to 66 pounds (25 to 30 kilograms) respectively, while greys average around 75 to 125 pounds (34 to 57 kilograms). Like their larger relatives, eastern Canadian wolves eat white-tailed deer, moose, beaver, muskrat and smaller animals such as rabbits and mice, but in Algonquin Park, moose, deer and beaver make up nearly their entire diet. Average pack size in Algonquin is five to seven adults, not counting that year's pups. Pack size is related to the abundance of the prey species they feed on. This is much smaller than grey wolf packs, which can be as high as three dozen animals, again depending on the food supply. Red wolves, once extinct in the wild, have been reintroduced in North Carolina as a result of captive breeding programs which have brought the population back from fewer than 20 (all captive). 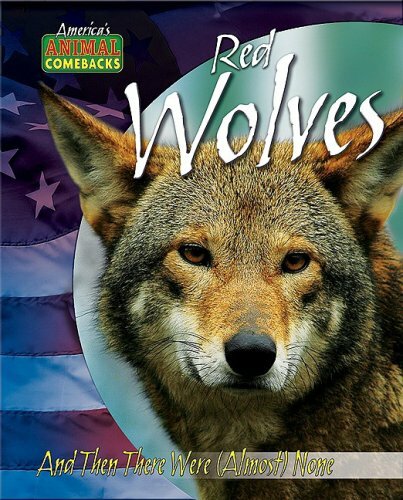 As of 2013, there are approximately 100 red wolves in the wild and another 200 in captivity. Packs are similar in size to those of the eastern Canadian wolves. An eastern coyote, or coywolf: bigger than a western coyote, but smaller than a wolf. The purest eastern wolves are found within Algonquin Park. However, north of the park, there are hybrid grey/eastern wolves. In southern Ontario, eastern wolves have been interbreeding with coyotes (Canis latrans). That has created a new variety of wild canine: the eastern coyote or coywolf, which has been moving east and has now reached Nova Scotia and Newfoundland. Such hybridization threatens the purity of the eastern Canadian wolf and could affect its future as a distinct species, especially in southern Ontario where coyote numbers are increasing. Wolves need suitable habitat with game such as deer and beaver, while coyotes can live almost anywhere they can find food. Coyotes thrive in areas where humans live, and this has led to an exploding coyote population that is now pushing into wolf habitat. A report from the Algonquin Wolf Advisory Group suggests that one way to control this hybridization of the eastern Canadian wolf is to pass laws that protect wolves and wolf habitat and target the reduction of coyotes and coyote hybrids in and around Algonquin Park. The Canadian Parks and Wilderness Society, Ottawa Valley Chapter, has several goals to protect eastern wolves. One is to persuade the Ontario government to implement an immediate ban on the killing of grey and eastern wolves in all provincial parks and conservation reserves. For more information on the eastern wolf campaign or to get involved, contact John McDonnell at jmcdonnell@cpaws.org or by phone at 613- 232-7297. Wolves Ontario! also is working to protect these endangered eastern wolves. For more details, email info@wolvesontario.org or call 416-599-0152. For more information about Eastern wolf research taking place in Algonquin, go here. I agree. Most apex predators are now endangered. I feel that we are not doing enough for the endangered species of wolves, if this goes on forever, we will not have any flora and fauna left on planet earth. Loved the images, the poor creatures need to be saved. The Aguará Guazú, or Maned Wolf, is the only animal in the world that has the body and legs of an antelope, the head of a red fox, the paws of a wolf and the smell of a skunk.